This quality 3-bedroom, 2 1/2 bath spacious home at the ever popular Mountain Harbor Resort is perfect for families. Close to all the Mountain Harbor amenities, Whitefish Mountain Resort and Downtown Whitefish. 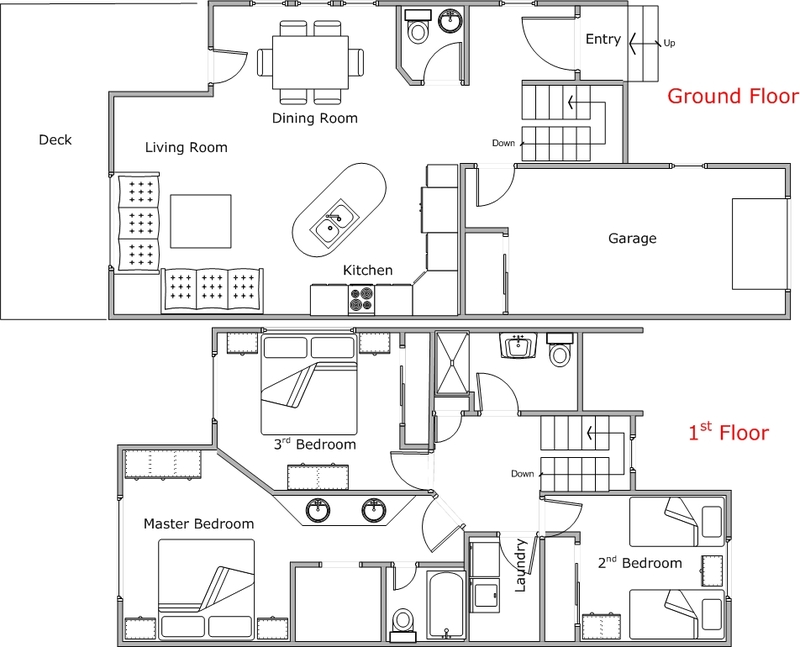 All the bedrooms in this condo are located upstairs creating a spacious downstairs for entertaining. 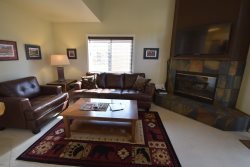 Large kitchen fully equipped with pots, pans and dishware, two-sided gas fireplace, and large deck with bbq and outdoor seating. Upstairs the master has king bed with a private bathroom, second bedroom has a king and the third bedroom has a bunk with a double on bottom and a twin on top. Mountain Harbor is in a great location on Whitefish Lake; only 6 miles from Whitefish Mountain Resort for Alpine and Nordic Skiing in winter or in the summer enjoy hiking, mountain biking, zip lining and Tree Top Walks. A 2 mile walk on the new footpath/bicycle path is a very popular way to access Downtown Whitefish for a morning coffee or breakfast at one of the many local restaurants. Fine dining or family dining is in plentiful abundance in Whitefish. You can view our Top Picks by visiting our Local Area Guide for staff suggestions on things to do and places to eat and don't miss visiting Glacier National Park, a short 35 minutes away from Whitefish with all the hiking, biking, water rafting, fly fishing and family fun you could ever dream of. The internet booking is easy to navigate. This was our familys fourth summer trip to Mountain Harbor. We come to visit my brother and enjoy the lake. We have rented other condos before and now MH147. All of the properties have been good value for the money and the grounds and pool have been well maintained. Keep up the good work.